There’s no wonder Fiji is a popular tourist destination, blessed with 333 soft, white sand tropical islands and surrounded by beautiful tranquil waters. There’s an array of Fijian culinary gems located here – these are the 10 must-visit Fijian restaurants. Award-winning luxury Wicked Walu Seafood Restaurant, located on the popular Coral Coast, is on its own island. The surrounding tranquil waters make the restaurant a perfect, relaxing location for an outdoor romantic meal. Even if you don’t sit outside you can still experience the sand between your toes, thanks to the sandy floor created inside. Expect to be served the best fresh seafood grills in Fiji, including fresh crab and lobster. Slightly different to the usual restaurant, this quaint cafe has some of the best food to be tasted in Fiji. Lovingly made dishes are prepared by traditional earth oven-cooking known in Fiji as a lovo. 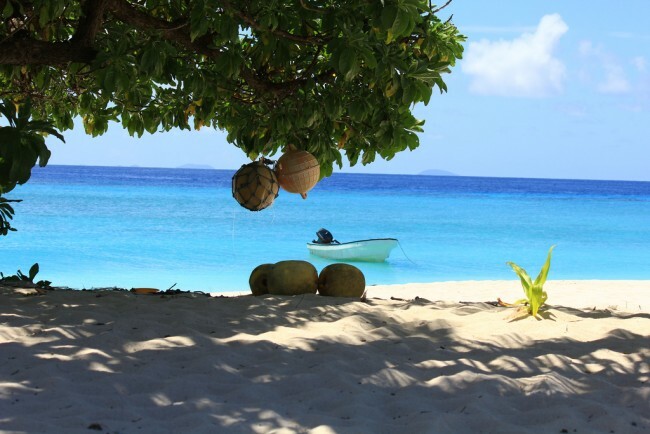 Beach Cocomo Vakacegu Café maintains a traditional Fijian appeal for its customers, who eat their homemade meals in an open-windowed, thatched-roof bungalow. Tokoriki Oishii is one of the outstanding restaurants on the island. 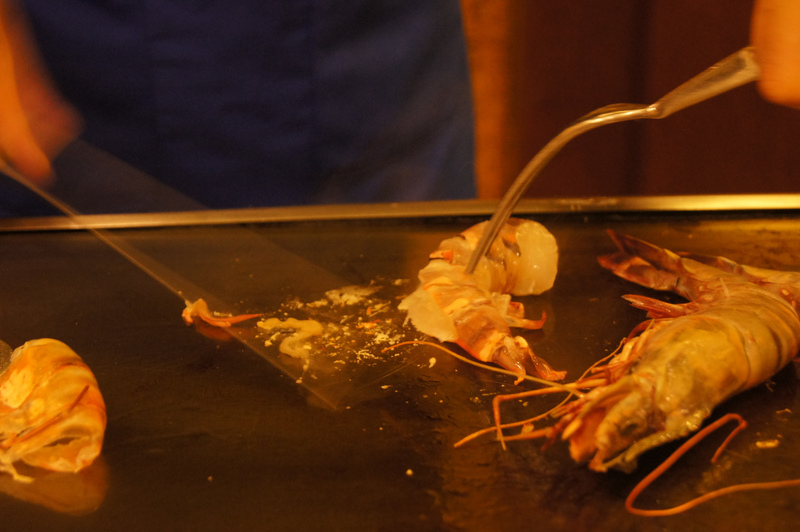 Located in lush tropical gardens, the restaurant serves expertly prepared traditional Japanese teppanyaki dishes. After a walk through the ambient palm tree-sheltered gardens, expect to be served high-class, fresh food at this teppanyaki restaurant. Consistently described as one of the best restaurants in Fiji by visitors, Taste Fiji Kitchen has become a popular choice for many tourists. Found on the island of Nadi, the owners of the restaurant take pride in using the best locally grown fresh Fijian ingredients. Taste Fiji Kitchen serves breakfast, lunch and afternoon tea as well as a selection of delicious desserts. 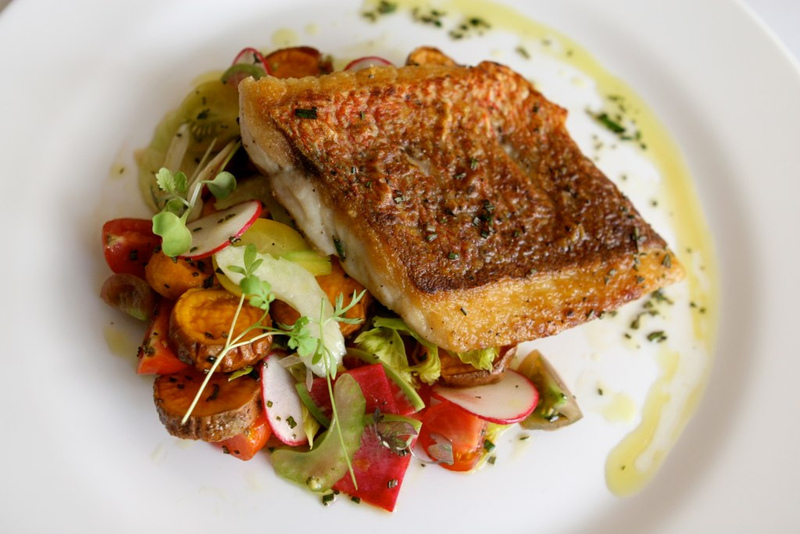 Traveler’s Choice 2013 winner Flying Fish Restaurant is recognized for its combination of inventive culinary dishes and impressive ambiance. The dishes served here are truly inspirational, combining the best of worldwide flavors and, of course, fresh Fijian seafood. The restaurant, set on the waterfront, provides an exceptional environment for its visitors. Although a little higher in price than usual, Flying Fish Restaurant reflects that in quality. Found on the Sheraton Fiji Resort, Ports O’ Call is regarded to be one of the best fine-dining restaurants, with exceptional service to match. The restaurant offers its visitors a luxuriously put together international menu to accommodate all tastes. The settings reflect the high-class food, with the charming decor resembling a luxury cruise liner. It also has table-side silver service where diners are treated like royalty when visiting. Be sure to make a reservation beforehand, as this is one of the most popular restaurants in Fiji. Unsurprisingly given its name, Eco Café is an eco-friendly bamboo-constructed cafe. With an emphasis on culture fusion, the cafe offers a range of appetizing dishes, including ‘slow food’ made with fresh Fijian ingredients as well as high-quality, traditional Italian cuisine such as pizzas and pasta. The restaurant provides a close-to-nature feeling for its visitors as the cafe is constructed entirely from natural materials. The friendly and warm family-run place means that the hospitality matches the loving care put into the construction of the charming cafe. Pleasantly located close to the ocean and nestled among lush green palm trees, Ocean Terrace has something to offer all its visitors. As well as being a welcoming, child-friendly restaurant, the views surrounding Ocean Terrace are also ideal for a romantic, peaceful evening for two. Try this restaurant if you are looking for delicious yet affordable Fijian food. The best of traditional Fijian food is served here such as coconut and white fish crepes and exotic tandoori salads. At Lomani Wai, enjoy a non-traditional way to dine — in a swimming pool. Located at the Radisson Blu Resort, the outdoor restaurant allows its visitors to enjoy exquisite food and the company of other diners with the addition of the cooling feeling of water lapping around your feet after a day in the blazing sunshine. Another restaurant on the Coral Coast loved for its great food and friendly staff, Gecko’s offers entertainment on a regular basis, including Polynesian dance and Samoan fire dance. Visitors to Gecko’s Restaurant can also take advantage of the lush surroundings, and a post-dinner walk to the nearby beach is a sure way to end a perfect evening.